Well, yes SEO can get pretty tech and if you get really deep, rather complex. But, depending on your industry and how SEO savvy your competition is, you might be able to make a couple small tweaks to your site to beat out the competition. So today I want to share the easiest, simplest thing you can do to up your site’s SEO game - no complex tech stuff required. When I go take a poke around the websites of my audience, I’ve consistently noticed that almost no one is doing this, so it’ll definitely give you a leg up on your competitors if you take the time to do this. Yes, optimize! What I mean by that is, optimize the size of your image files and optimize the image names to help Google, help you! Slow loading websites are not good for SEO. Google’s ultimate goal is to match a searcher with the websites that are going to provide them with their answer best. And, included in ‘best’ is showing websites which are easy to use. There’s many factors that go into creating an easy-to-use website, some are more difficult to implement than others. For my audience, I know most of y’all are creative entrepreneurs and so you tend to have beautiful photography and high-quality images. Which is great in many ways, but if these photos aren’t optimized, those massive image file sizes will slow your site right on down to snail speed. So that’s why my tip to you, the very easiest thing you can do to make a dent in how SEO friendly your site is, is to optimize your images. 1. How to resize your images: First, you want to resize your images. 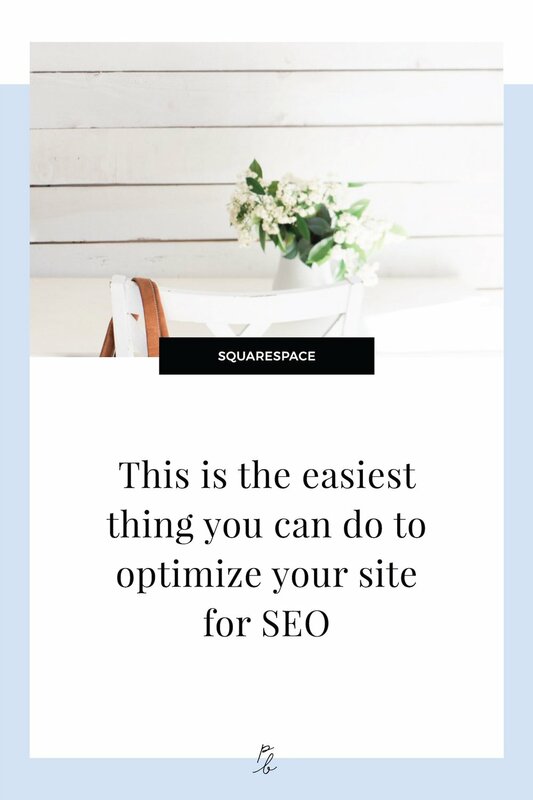 Squarespace states that your images should be 500 KB or less. In order to resize them, on a Mac, open up your image in Preview by simply double clicking on the image. Then play with the size of the width of the image to make the image a bit smaller. As you change the size of the width, you'll notice the file size changes too. Do whatever you have to do to get your images to or under 500 KB. If you're having trouble, you can also use jpegmini.com. What does correctly mean exactly? Images are normally named something like IMG_5023. But I can guarantee you a whole lot of no one is Googling 'IMG_5023' to find your LA-based greeting card company. The best image names are an accurate description of what's happening in the photo as well as sprinkling in keywords, as it makes sense to do so. Repeating keywords or just naming every image with the same keywords does a whole lot of nothing these days, as Google has caught on to these sneaky tricks. Name your images so that humans would understand the names and you're good to go! Then, keep your photos in a folder, named something such as 'optimized' so you remember any time you add a photo to your site, to grab an already optimized one. What if the images already on my site aren't optimized? Save the site images to your desktop, optimize them, then delete out the old and re-upload the new optimized version of the photo. 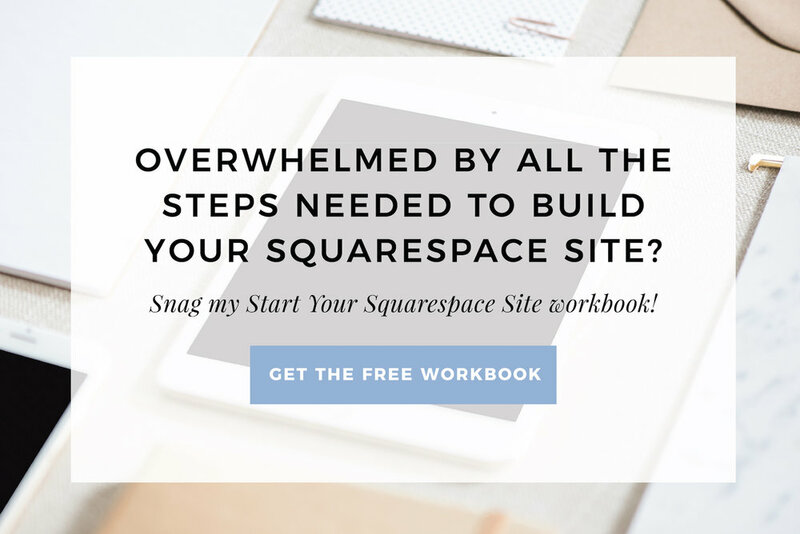 There's unfortunately no way within Squarespace to change the file size of your image, so you'll need to start over and add it from scratch. Then, moving forward, make sure to optimize every photo before you add it to your site, so you don't need to do the work of uploading photos twice again in the future.